One scarf goes a long way by wearing or tying it multiple ways. The New 9 to 5 work attire from Nordstom includes loads of spring inspired apparel, shoes & accessories. See what we’ve found for you! 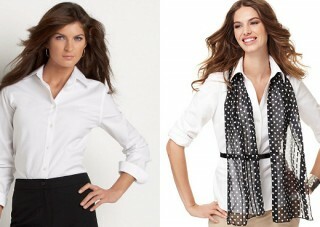 All you need is a white button-up top and polka dot scarf to create . 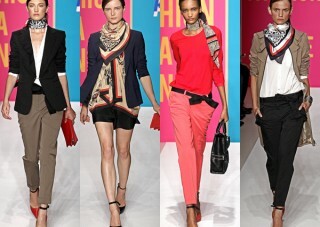 A scarf is a smart & easy accessory that will spruce up your look. 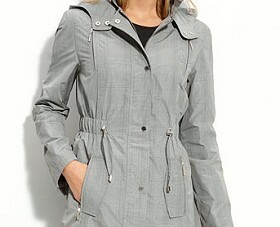 They are incredibly versatile and will bring to life even the most bland outfit. We encourage you to own several scarves in different patterns and colors for a ton of different style options. 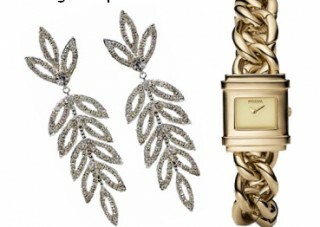 If a statement necklace is a bit much to handle, try going for statement earrings instead. Incorporating a skinny belt into your wardrobe is a great way to complement your outfit and accentuate your curves. 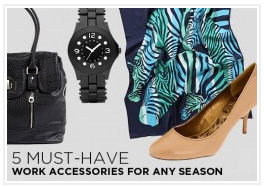 These make for fabulous additions to your work wardrobe as well as great choices for gifts.